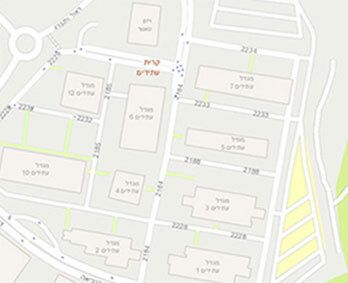 Kiryat Atidim is located at Tel Aviv's north-east, right next to Ramat Hahayal. It serves as an exclusive area for leading high-tech, media and medical firms, and offers offices and commerce spaces for rent. Atidim's business park stretches across 20 acres and includes: 11 buildings with a total built area of 250,000 square meters, 150,000 of which are designated uppercase leasing space which includes offices and commercial areas for lease. The ark is located in a green and friendly area, which includes electronic energy facilities, multi-purpose buildings which will suit any firm and are available for tailor made adaptions upon demand. Our professional team will be happy to advise and accompany the personal and technical adaptation process to suit the needs of any company. The buildings currently comprise of: offices, bureaus, computer rooms, research and development labs and training rooms. 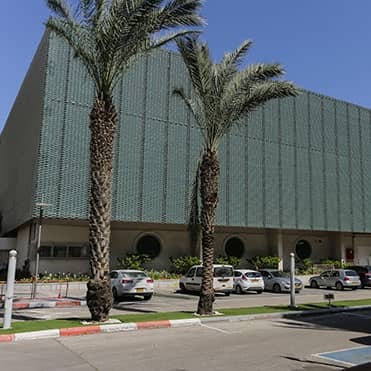 These buildings, property of the Atidim Company, are designated for long term leasing which ensures tenants can benefit from real-estate stability. Atidim also operates, in the framework of its community giving, a technological entrepreneurial greenhouse for 30 start-up companies. Atidim offers high level services, controlled rent and a friendly environment which includes established infrastructures as well as the opportunity to grow and develop within the site's wonderful complex. The Atidim Park is located within a wonderful, highly suitable environment within the Ramat Hahayal neighborhood, which allows for quick access to downtown Tel Aviv and to various exits from the city (including the Ayalon Highway). Atidim offers unlimited parking for every employee and visitor. 3 floors – Sick Fund laboratories.